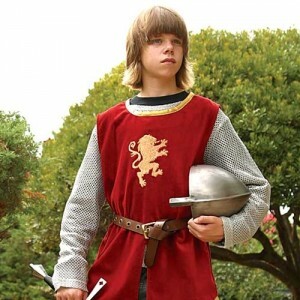 Be A Young Squire At The Faire! Don’t forget that the greatest costumers (you know, the ones they’ll put on at least once a week for their rest of their pre-adolescent years) always come with boots, shoes and/or accessories for the complete package of Childrens Medieval Clothing. With a little creativity and imagination, playful parents and families can work together to create a whole traveling troupe of lords, ladies and other magical medieval personalities. Take a moment to brainstorm with your family on ways that you can make your next Renaissance Faire one you’ll never forget.